If your company is interested in making the switch to agile project management, here are some tips and strategies to help smooth the transition. But once your organization has weighed its options and made the decision to switch to agile, how can you ensure a smooth transition that benefits both your business and your customers? The following tips and strategies will aid you along the way, greatly enhancing the chances that your organization will pull off a shift to agile without a hitch. Prior to jumping to a new project management methodology, it's important to identify and document your business goals and establish how the switch to a new methodology will better enable you to meet those goals. Business analysis ensures the methodologies employed in your business are effective in helping reach company-wide objectives. There should be a clear line between the methodologies used and how they aid project teams to meet business goals. Not every organization can benefit from agile methodologies, so it’s important to map out your company hierarchy to gain a better understanding of your ability to support a switch to agile. Determine first whether you have the talent required to meet the commitments of agile development and a hierarchy that can support agile practices. Another important factor is your culture. Can your current culture support the agile methodology? This can become one of the biggest hurdles in making the switch. If your company has been executing projects using waterfall for a significant amount of time, there may be a reluctance on the part of various groups to make a switch to agile. Your company culture will need to support this change. This is where change management experts, and clear and frequent communication, can smooth the way. How will the switch to agile improve customer experience? Will the switch to agile produce higher quality and better deliverables? Will agile help build better collaboration between your team and customers? Identify and document all the project resources available. Determine whether your company has the talent and skill sets needed to make agile work well. Identify the technologies available and vendors that can successfully support the switch to agile. Without the right people and technologies in place, making a switch to agile is highly unlikely to yield the benefits anticipated. Once you have identified your business goals, hierarchy and culture, stakeholder needs, and resources, it's time to detail exactly how your team will transition from the current methodology to agile and how it will impact on your internal processes. Remember to leverage the knowledge and expertise of a change management specialist from the start and throughout this project. Conduct a comparison between your current project management methodologies and agile project management. Identify possible risk points and analyze your project team’s state of preparedness in dealing with issues that may arise with the switch. Now that you've covered the business, project, and customer benefits, as well as the risks and logistics around making the switch to agile, you’ll need to build a business case that ensures other stakeholders are afforded an opportunity for input. Without sufficient input from key stakeholders, valuable insights needed to greenlight the switch to agile may be missed. Once the go-ahead has been given to move to agile, put together a comprehensive project management plan and once again get feedback from key stakeholders, including functional areas, before proceeding. This gives key players a chance to provide additional input that may impact how and when the transition to agile takes place and gives sponsors and stakeholders a greater sense of assurances that the switch to agile will be successful. Making the switch to a new methodology is an important step that will impact people, processes, and how technology is leveraged. Make sure to engage a change management expert right out of the gate to help you determine what those changes are and how best to deal with them without vital issues falling through the cracks. Before making a switch to agile project management, it may be a good idea to talk with other professionals about their experiences. This can save you a lot of frustration and reduce the chance of making costly mistakes in the process. Make sure to involve experts and key stakeholders from various functional areas when making a significant switch like this. Their input will be necessary to gain buy-in and to avoid unforeseen problems. Consider piloting a project or two first. This gives you a chance to see if your teams are sufficiently prepared to execute projects using agile before you make the complete switch. This will help you make any necessary adjustments on a smaller scale before a full transition. 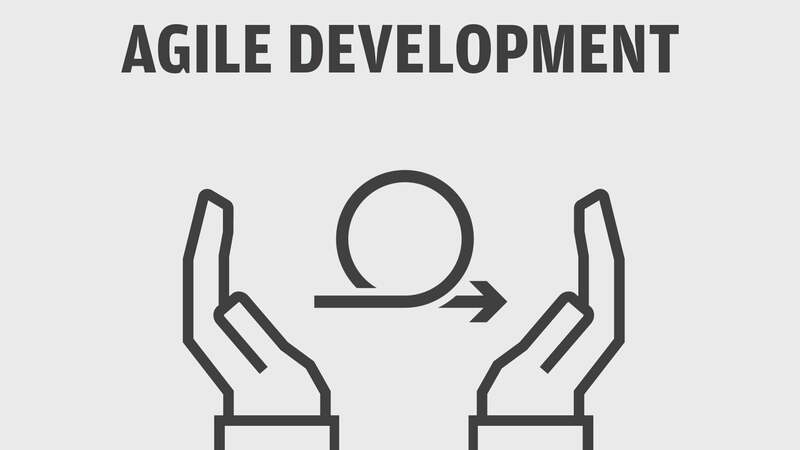 It's important to get feedback from the project team, functional groups, and any other stakeholders to identify how things went and determine whether agile is the right methodology for other projects going forward. When moving to a new methodology, revisit the technologies and processes you currently use to determine necessary changes, and involve a change management expert to ensure nothing is missed. Both of these areas will impact how you execute projects and vice versa. A change to a new methodology will necessitate revisiting the technologies you use as well as adapting your existing processes. Once you have ensured a switch to agile will work for your company and your projects, received feedback from key stakeholders, involved a change management expert, completed a pilot project using agile, received feedback on the results, and made any necessary adjustments, it's time to gain full buy-in from the top down before the full switch to agile. Assuming all has gone well, the decision to move to agile has been finalized, and everyone is on board, it's time to make the full switch to agile project management. To maintain buy-in throughout the switch, frequent and transparent communication is key in ensuring the transition goes well and making sure all stakeholders are kept up to date with progress and developments.